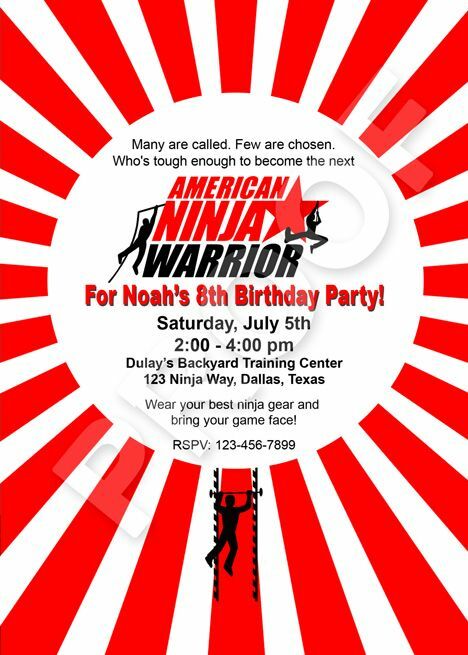 I have a great client whose family loves outdoor sports and not just any old sports...last year they hosted a "Tough Mudder" party for their son and this year they are having an "American Ninja Warrior" party. Here is the invite I created for their super sporty event. If you are interested in this invite or a custom invitation and party printables for your next event, contact Paper Perfection at jtanddolly@yahoo.com for pricing and details. 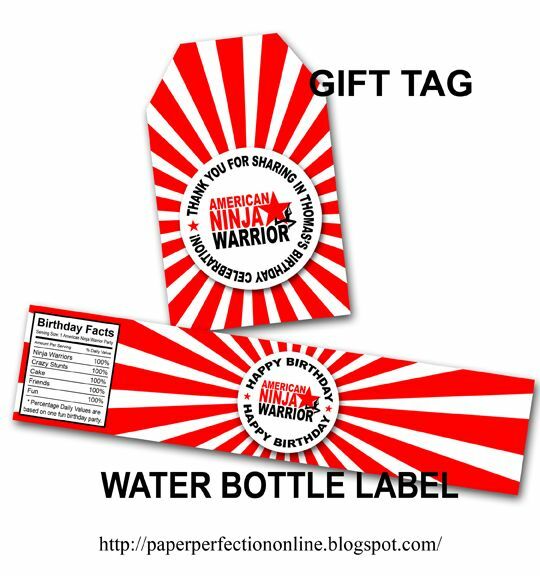 I had another client request matching gift tags and water bottle labels so I now have these available as well. I can make additional items like cupcake toppers, birthday banner, candy bar wrapper or anything you might like. Are these available? Can I have pricing for the invitation and the water bottle lable?